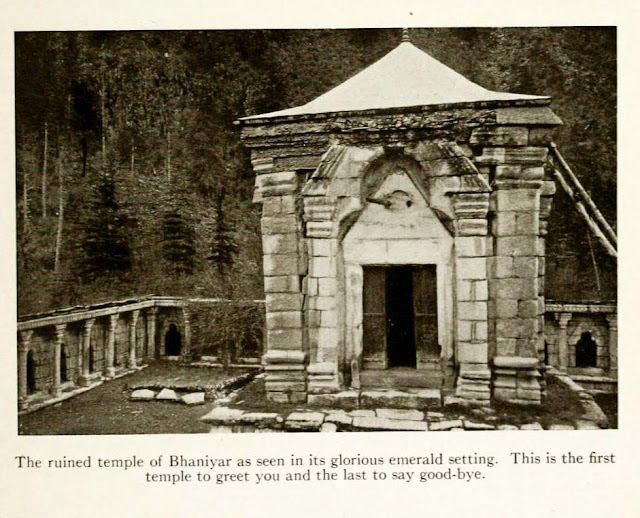 Buniyar Temple, about two miles above Rampur, situated along the Baramula-Uri road on the bank of the Vitasta, is often described as the "best preserved" specimen of Kashmiri architecture. 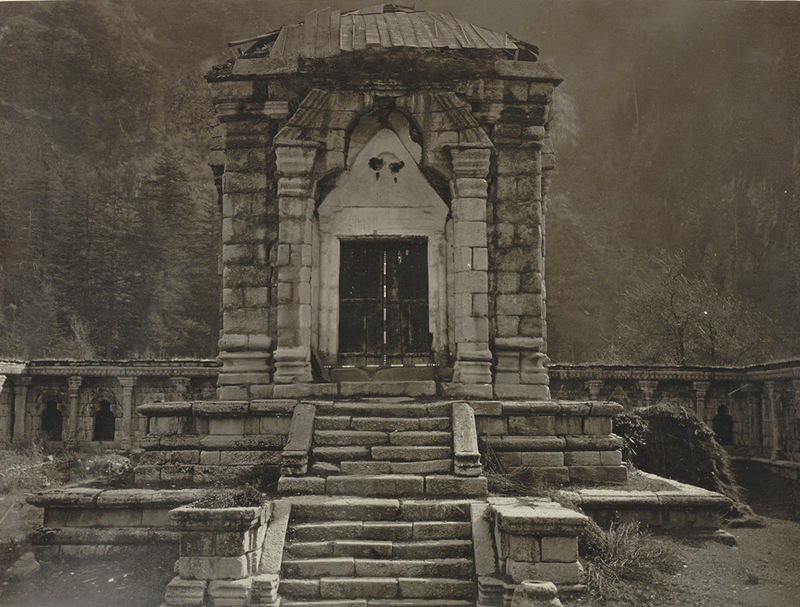 Although unlike most Kashmiri temples which are made of limestone, this one (beside the one at Wangat) is made of granite. This is the story of the temple at Bhaniyar/Buniar/Bhavaniyar/Bunair/Boniar/Boniyar/Buniyar. On my way back from Uri, I decided to check the ancient temple whose roof is visible from the road. A military man walked me from the main road, past the security gate and into the military camp which now surrounds the temple. On way to the temple, the man, someone from mainlands, claimed the temple was build by 'Pandavas'. When I told him that I am ethnically Kashmiri Pandit, the man happily said that it all belongs to me. 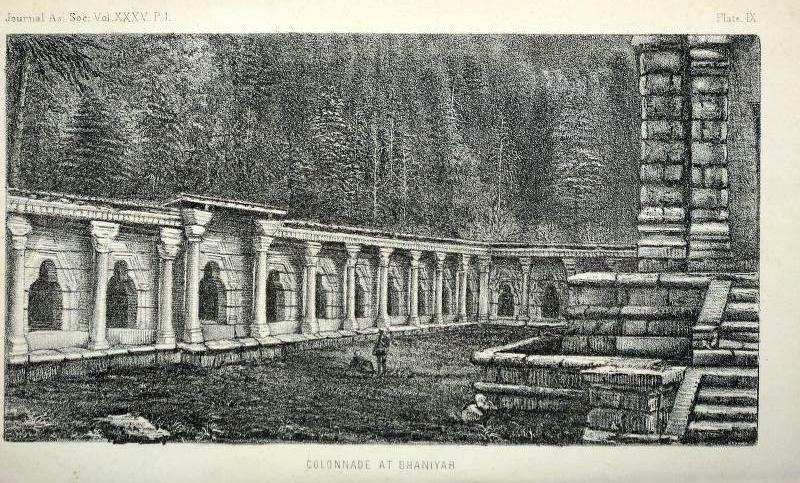 In 1868, when Henry Hardy Cole arrived at the temple along with photographer John Burke for his 'Archaeological Survey of India report, 'Illustrations of Ancient Buildings in Kashmir' (1869), a local Hindu Fakir who lived in the temple told him that the temple was build by 'Pandus'. The temple had recently been excavated on the orders of Maharaja Ranbir Singh. Before that, the temple had been claimed by mountain and the trees, which might explain why it survived vandalisation and remained untouched for a long time. 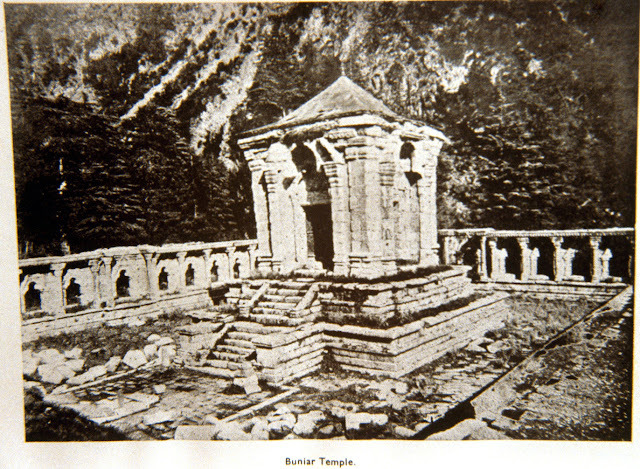 The ruins of this temple had earlier been noticed by Karl Alexander A. Hügel (1835) and G.T. Vigne (1837). 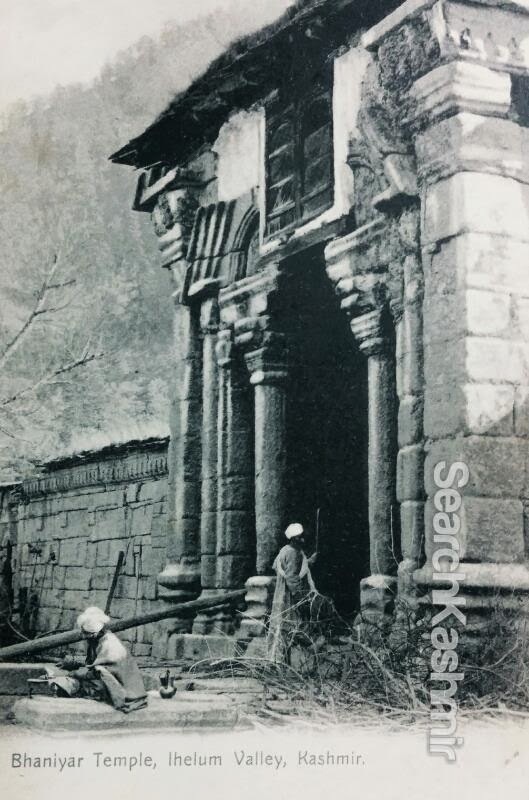 Hügel mistakenly described it as a well preserved Buddhist temple, while Vigne called it a Hindu ruin on the road. An attempt to study the temple was first made by Alexander Cunningham in November 1847. He noticed that the Pandits called the place 'Bhawaniyar'. And assumed it to be a 'Bhawani' temple. Cunningham couldn't examine the temple properly as it was half-buried under snow at the time. Using a telescope he tried to see beyond the thick foliage if the inner wall of the temple had a colonnade. 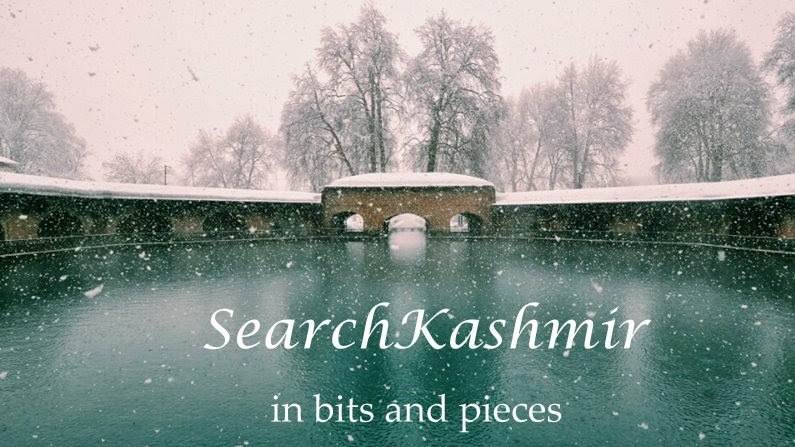 "The material of which the buildings are constructed, is a pale, coarse granite, of which there seems to be no quarry within reach on the left bank of the Jhelum. This circumstance is remarkable, considering the enormous size and weight of some of the stones employed. Mr. Drew, a geologist in the service of H, H. the Maharajah, thinks that the blocks of granite must have been carried down some of the valleys on the opposite side into the river bed, whence they were brought for the construction of the temple." He also suggests that the central temple was probably surrounded by water (just like Cunningham had suggested for Martand) as he found two old wells also near the temple. He also noticed that near upper base of the temple, is the spout of a channel which carried off the washings of the image. He wrote it looked like a snake or some similar animal. Later some addition notes were added by James Fergusson in around 1876. 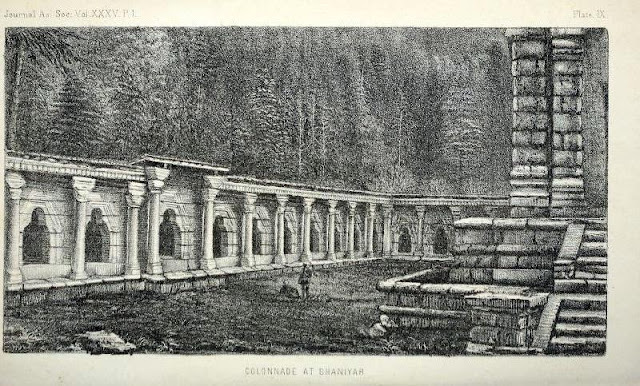 He noticed that the colonnade was Gandhara inspired. The gateway is a double-chambered structure faced on each open side by a trefoil arch surmounted by a steep pediment. The lintels of the closed arches are supported on pairs of columns which were originally fluted, though the weather has now left no trace of flutes. They have a double capital, the upper one being voluted on all four sides. The walls are externally surmounted by a cornice of kirti- mukhas, alternating with miniature trefoiled niches. Upon this rests the first course of the pyramidal roof. The flights of steps-on the eastern and western sides respectively afford entrance to and exit from the entrance chamber. The one on the roadside is buried underground, but the inner stair has been excavated. It consists of seven steps flanked by sloping rails and upright side walls. Between this stair and the temple is a small stone platform which formed the lowermost course of the stepped base of a column (most probably a Garudadhvaja). The priest in charge of the temple has now placed in it a small stele of very crude workmanship and late date, which he has painted with vermilion. Another similar stele, still standing in the position in which it was found, is seen in front of the temple stair. The temple itself stands on a double base, which is in every respect similar to other structures of its kind in Kashmir. A lofty trefoil arch, standing upon advanced pilasters and enclosing a rectangular entrance originally surmounted by an ornamental trefoil and steep pediment, gives access to the sanctum. The jambs of the entrance are adorned with half-engaged columns. The interior is a square of 14 feet. The pedestal of the image is placed on a broad platform. The original image, which seems to have been of Vishnu, is now replaced by small Siva-lingas originally brought from the bed of the river Narbada. The walls are covered with a coat of modern whitewash. The string course from which the ceiling springs is still visible, but the ceiling itself which Bishop Cowie saw in 1865 and described as domical, has since either fallen down or been removed. It was, no doubt, similar to the ceilings of the larger temples at Wangath. Externally the only decorations are the trefoils of the recesses, their pediments, and the cornice of kirtimukhas and miniature trefoils from which the roof sprang. 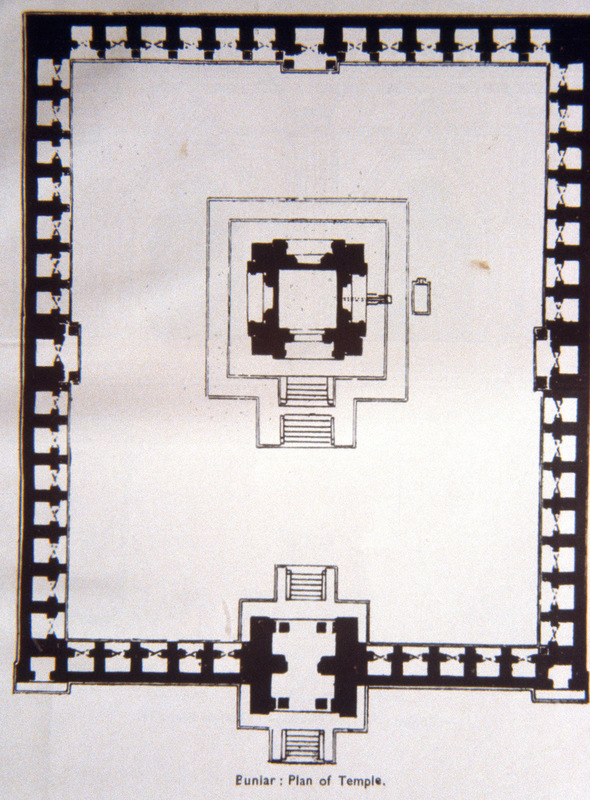 The quadrangle measures 145' by 119 1/2', and consists of fifty- three cells and the gateway. They are rectangular, 7' long by 4' broad. Each cell has a single trefoiled entrance enclosed in a high- pitched pediment resting on half-engaged columns. These ranges of cells are preceded by a noble colonnade which stands on a base similar to that of the temple. A transverse beam connects the capitals of the columns with the roof of the cells. Over these beams rises the entablature, only one course of which, namely the frieze of miniature trefoils, is extant. In the centre of each range of cells, except, perhaps, the one in which the gateway stands, is an apartment of larger dimensions preceded by a pair of taller columns which are advanced about 4' from the rest of the peristyle. The top course of the cells is also decorated in the same way as the frieze above. On the south side, projecting from the cornice of the upper base of the temple, is the spout of the channel which carried off the washings of the image. It seems to have been shaped originally into a makara, or crocodile's head. Immediately below it is a huge water trough carved out of a single block of stone. The rain-water in the courtyard is carried off by a drain which runs under the south-eastern corner of the peristyle. In cell No. 11 of the north range, beginning the reckoning from the corner nearest the gateway, is the side entrance, which was then, as now, closed with a wooden door. The monotony of the external face of the western wall is partially relieved by rows of small square projections. In its two corners are two cells opening outwards. Immediately outside the side-door mentioned above is a square structure built of plain blocks of stone. The middle portion of each of its four walls has fallen down, and the gaps have been filled in with small chips of stone built in mud. It is difficult to surmise what was its original purpose. The temple is now often described as Vishnu temple dating back to 8th-12 century A.D. In 1947 war, some Dogra soldiers were holed up in the temple and attacked by the raiders. The place is now a military camp with the temple getting reshaped by aesthetics of military men. 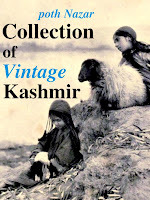 Photograph from 'Our summer in the vale of Kashmir' (1915) by Frederick Ward Denys. The walls of the colonnade now have crude murals of Hindu deities. The above image is the only one I could clearly identify. This is Chamunda, yogini of death, destruction and decay. Thanks for writing in! I do plan to Pandrethan soon. Hi belong to the place u visited n wrote such an awsome article. please do share wth me the complete work in boniyar by u. One of the great stone temples of Kashmir. I have been a regular visitor to this temple in 1960 to 1962.Gdeat architectural monument of Kashmir which needs preservation at every cost. I was looking for something on Boniyar. Was thrilled to see your detailed writeup. Want to follow up your blog. But it seems Google + is shutting down. How can I follow your blog site.